Heart of the Story: Both a shepherd and sycamore tree grower in the Tekoa area (about 10 miles from Jerusalem). Amos’s writings showed that he had a heart for the oppressed and voiceless. He advocated social justice. As much as can be discerned, Amos was the first prophet to write down his book. Backstory: Amos was a simple, although not uneducated man. 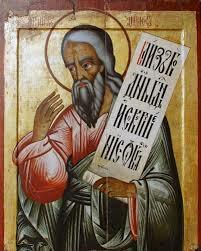 He was the first minor prophet to write his book. Unlike many prophets of the day, he was not from a family of prophets nor did he care to prophecy want a king or other rich and powerful wanted to hear. 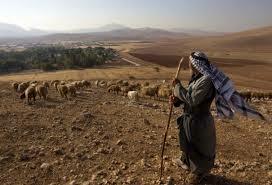 Although Amos was from Judah, he delivered most of his prophecies at Bethel, in the Northern Kingdom. There, Jeroboam I set up golden calves and declared them to be Israelite’s gods. Because Amos was not from Israel (but Judah) and his message to Israel pointed out the nations lack of righteousness, he received push-back from Israel’s king and priests. Most scholars believe that he was forced to leave Israel. Some scholars claim that Amos wrote his book in Jerusalem. Amos gave most of his prophecies between 760-750 BC in the time frame when Jeroboam II ruled the Northern Kingdom and Uzziah in Judah. Jeroboam II reign was amazingly profitable for the Northern Kingdom. At the same time, Jeroboam II reign it was noted for its moral decay among the rich merchants, land owners, and king’s court. Assuming that a true prophet can be identified by the accuracy of his prophecy, Amos was a true prophet. He accurately predicted that Israel would be overcome by a foreign power came true in 722 when Assyria overran Israel. Story Line: God’s word through Amos was directed against the privileged in Israel, a people who did love their neighbor, took advantage of others, and looked out only for themselves. Amos communicated God’s utter disdain for the hypocritical lives of these people (Amos 5:21–24). To Amos true religion was not ritual but righteous living. God is just and demands right behavior not sacrifices. Amos believed in economic justice. The relationship between the people of Israel is articulated to be a moral contract. If the people of Israel fall below the moral requirements of God, then their relationship will certainly be dissolved. Reflection: Injustice permeates our world, yet as Christians we often turn a blind eye to the suffering of others except saying, “I will pray for you (them). Amos reminds us that prayer, although central to a believer’s life, rings hollow when we don’t love and serve others. Copyright January 27, 2018; Carolyn A. Roth (CarolynRothMinistry.com/). Material in this blog reflects some of Chuck Swindoll’s thoughts. This entry was posted in Prophets and tagged Amos, Bible, Bible characters, God, Minor Prophet, Obscure Characters, Old Testament, Social Justice. Bookmark the permalink.